Apple must have some kind of security problem, because every device they ever put out gets leaked. From the iPad 3 to the iPhone 5, it always gets leaked in a hurry. 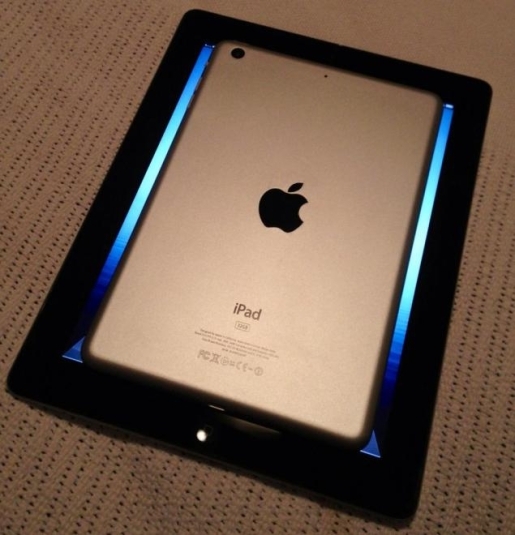 Now, weeks before the expected launch of the iPad Mini, images of the iPad Mini have been leaked online. The shots, posted to 9to5Mac, show an iPad Mini on top of a traditional iPad to show their size difference. The iPad Mini is significantly smaller than the iPad, but is that a good improvement? I’m not so sure about the iPad Mini, to be honest. I like the form factor, if only because you can’t use the iPad one handed at all. It’s smaller in width, and smaller of screen, but it looks comfortable in size and seems well balanced. Is it a threat to the Kindle or other smaller form-factor tablet? I’m not sure; I think if you’re an Apple user, you’ll buy whatever they come out with. If you’re not an Apple user, then you’re probably already invested into a tablet form factor. Choice is great, but is it a choice people want? I guess that remains to be seen.